The ropes at the Minster have been getting increasingly thin and, as there are peals booked over the next year, we decided to have a Rope Splicing Workshop. 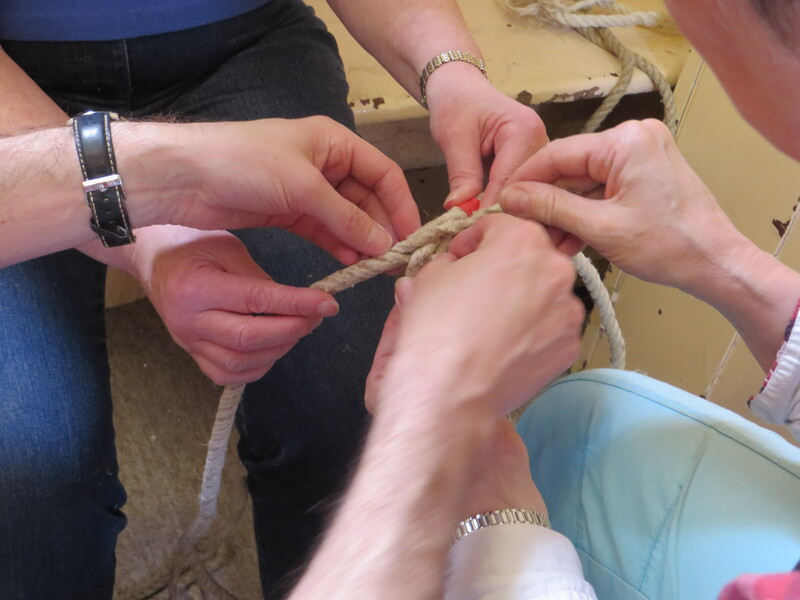 A couple of us were keen to learn how to splice ropes and Mark Davies agreed to teach four of us, with Hugh Evans’s help, how to splice. 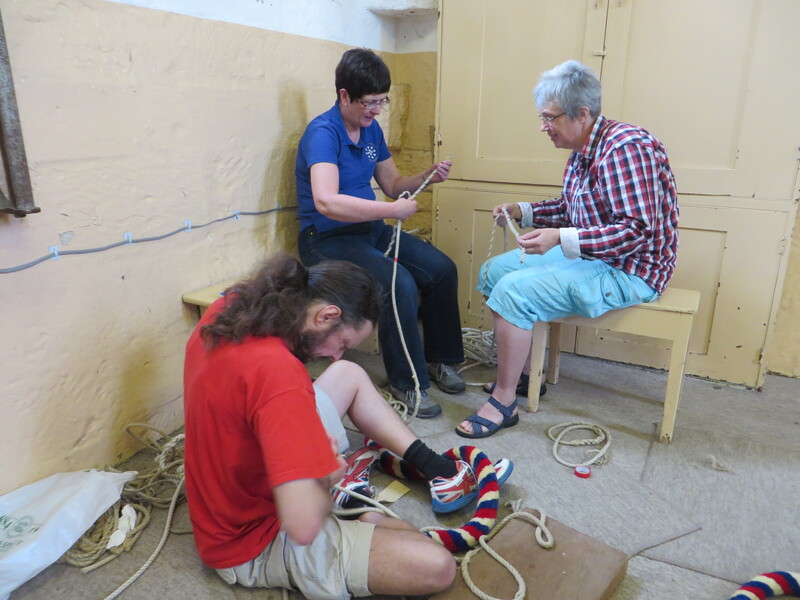 We had a large selection of ropes and sallies to pick from, so we started with learning how to do a long splice on pieces of spare rope. 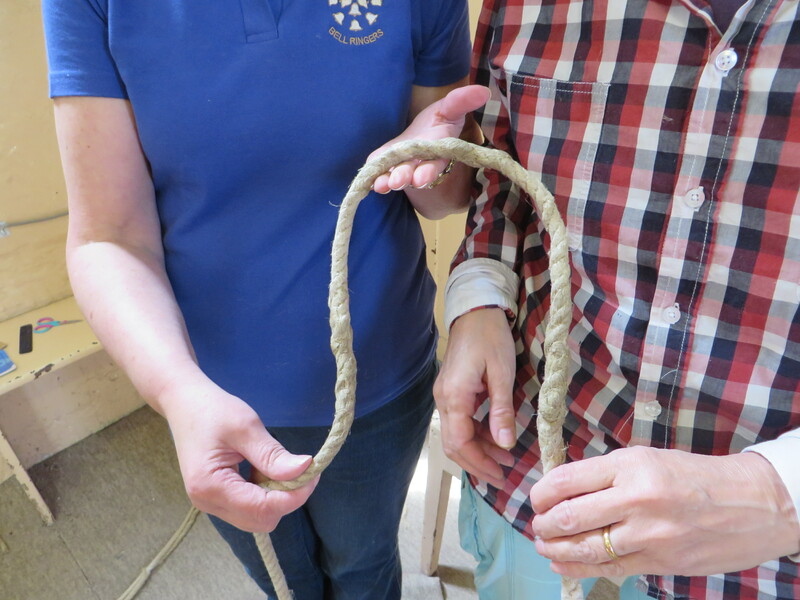 We then had to pick out enough good ropes to replace three – we had two suitable ones but for the 3rd, which is up on the top level of the frame, we needed a longer rope. So Isabel Hitchings and Liz Coke between them did their first proper long splice to attach a new tail end to a sally that already had a terylene top. The three ropes were replaced. We had another session on 2nd August. By the end of this we had replaced another two ropes and we have four spares which should last us until we get our new bells. This has been a really enjoyable activity, and we even have some left over sallies to sell as draught excluders for the bell fund!